Last season’s runners-up VfL Wolfsburg will look to close the gap on second-placed Borussia Dortmund when the sides meet at the Volkswagen Arena on Saturday (kick-off 18:30CET/17:30GMT). 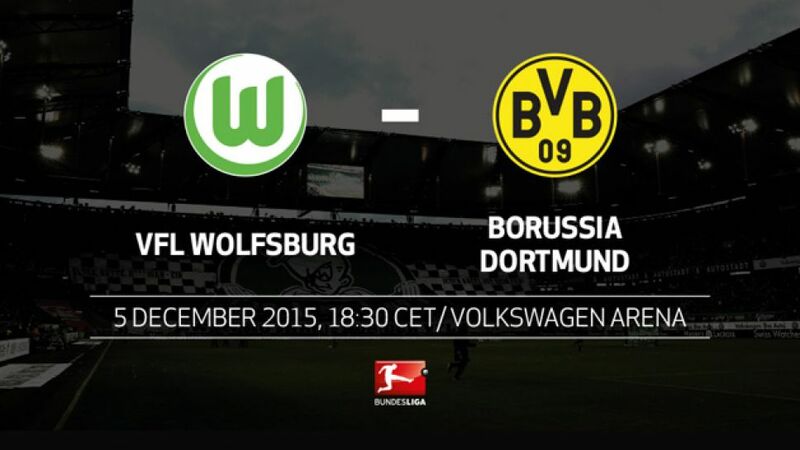 Only twice before have Dortmund had more points on the board after 14 matches.Wolfsburg are currently on the longest unbeaten home run of any Bundesliga outfit (a club-record 29 matches).The Wolves will set a new record for the Bundesliga's longest unbeaten home run if they avoid defeat this time out.Wolfsburg have suffered 18 defeats and conceded 69 goals in games against Dortmund. Only against FC Bayern München have they fared worse (28 defeats and 83 goals conceded).Dortmund attacker Marco Reus has scored seven goals in as many games against Wolfsburg.